James Smith recommends you come over all Crocodile Dundee and go croc hunting in Port Douglas. He recalls how his encounter with the crocs came about on his website here. 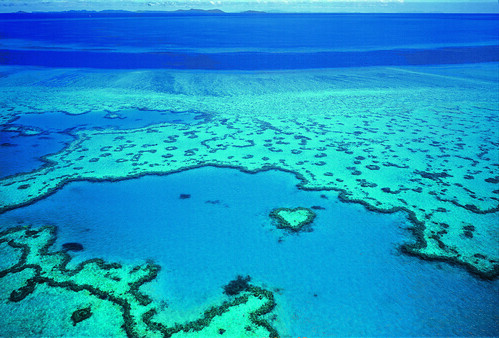 We recommend you combine your trip to Port Douglas with a snorkel in one of the Natural Wonders of the World - the Great Barrier Reef. Then seeing as you are in the area why not take the chance to marvel at the beauty of rainforest meeting ocean in the Daintree Rainforest? A 10 night package covering all 3 starts from £1789. Kiran Malhatra suggests you check out the Mount Rooper circuit whilst in the Whitsunday Area of Queensland. Trek through lowland rainforest to find the Mount Rooper Lookout where a panoramic vista of the Whitsunday Passage and it's islands will take your breath away. The best bit? It's completely free of charge! (See the Queensland Tourism website for further details.) Get even closer to Queensland's 74 Whitsunday islands with a visit to Hamilton Island where azure waters, brilliant beaches and awe-inspiring coral reefs are the order of the day. No wonder the care taker for the island is said to have 'The Best Job in the World'! Moving south Abe Steinberg spoke highly of the road trip along Highway 1 from Melbourne to Sydney. Once arriving in Sydney she suggests you make sure you drive out to the Blue Mountains and discover the flora, fauna and wildlife of these misty mounds. Embarking on a self drive adventure anywhere in Oz is a rewarding experience - be inspired by some of these epic drives. Ann Robertson is a fan of the Aussie theme parks for a bit of family fun. Between Dreamworld on the Sunshine Coast and Taronga Zoo in Sydney, and many more besides, the East Coast of Australia offers a lot to keep the children content if they happen to get bored of sand and surfing. Visit our website for a full list of family friendly holiday options. When we asked our readers to share their Aussie tips Paul Corbett immediately thought of Fraser Island. "Jump on a jeep safari tour of Fraser Island - we spent three days camping out on the beach, swimming in lakes and dingo spotting. Driving along the beach was such a great experience and one of my best memories of Australia." Paul wrote in details about his experience on the worlds largest sand island on his website mypostcardfrom. We've been lucky enough to work with bloggers who have been fortunate enough to spend long periods of time exploring Australia! Heather Rudd writes a blog named 'There's no place like Oz' and she shared with us one of her favourite things about Sydney - the sweet treats. Keen surfer Chris Stevens loves New South Wales for it's superb beaches and ample waves. He shared with us his favourite spots for surfing in New South Wales and particularly his love of Byron Bay. Have our readers inspired you to visit Oz? 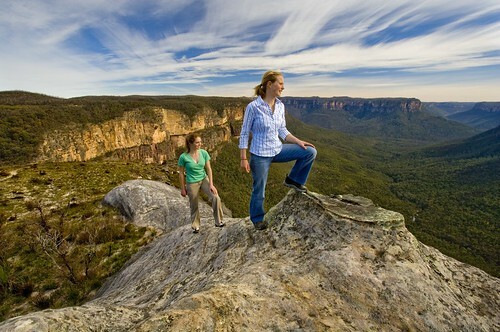 If you have already been what are your tips for discovering the Best of Australia? Our consultants are Aussie specialists and have lots of advice on seeing the Best that Australia has to offer. Visit your local store and pick their brains!